Caption slip reads: "Photographer: Monteverde. Date: 1952-04-10. Reporter: Massard. Assignment: Holy Thursday at Forest Lawn. 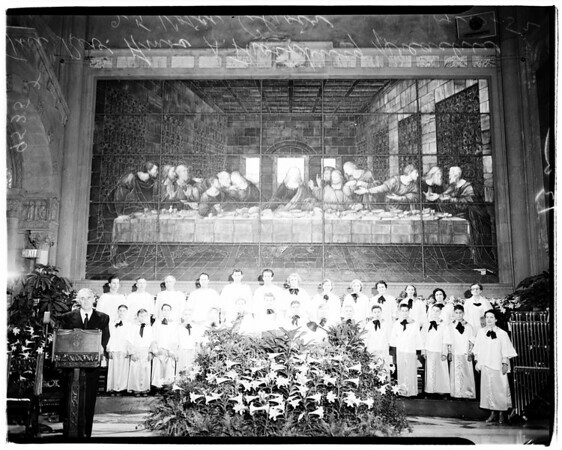 The Reverend Amos A. Thornburg preaches beneath 'The Last Supper' window. And the 25-voice Golden Choristers Choir".